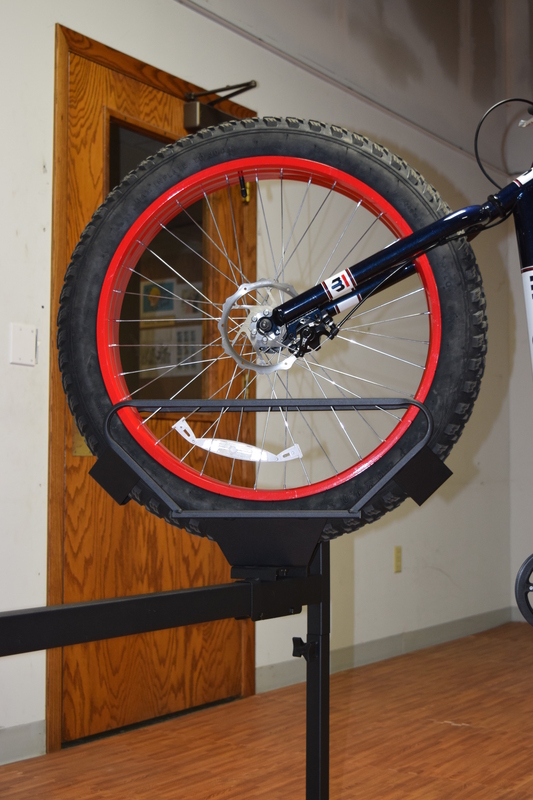 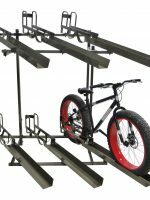 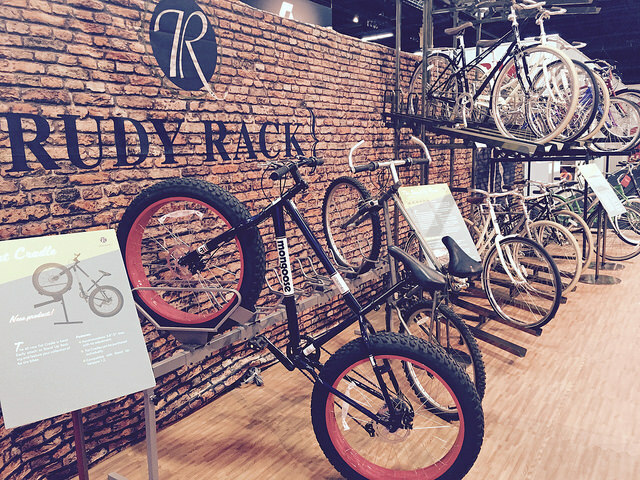 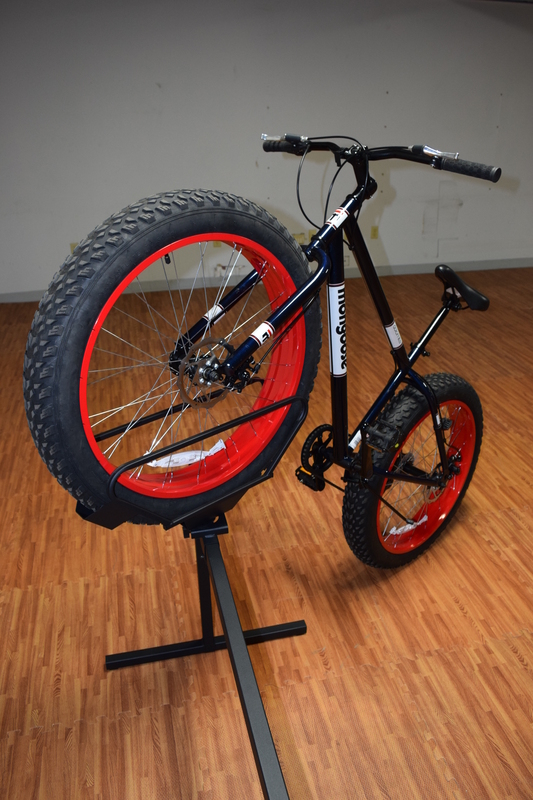 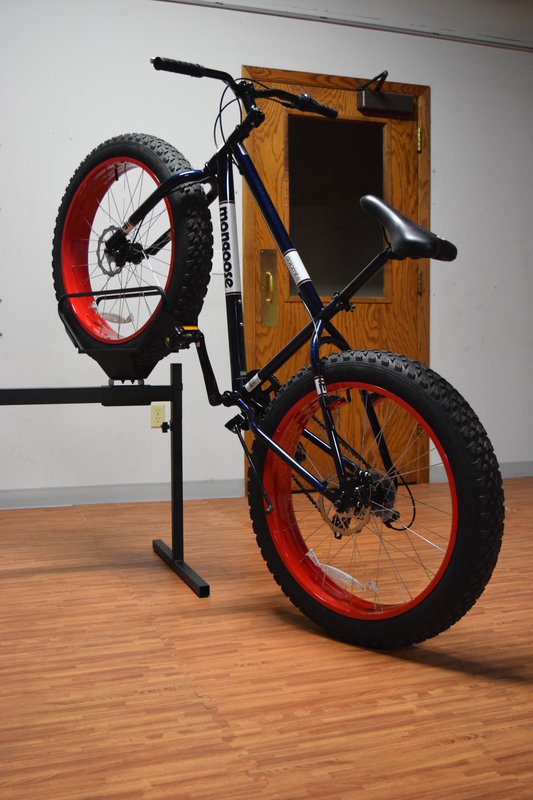 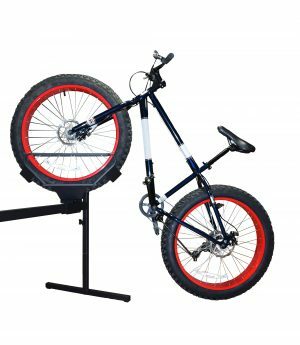 A Stand Up Cradle for Fat Bikes is now available. 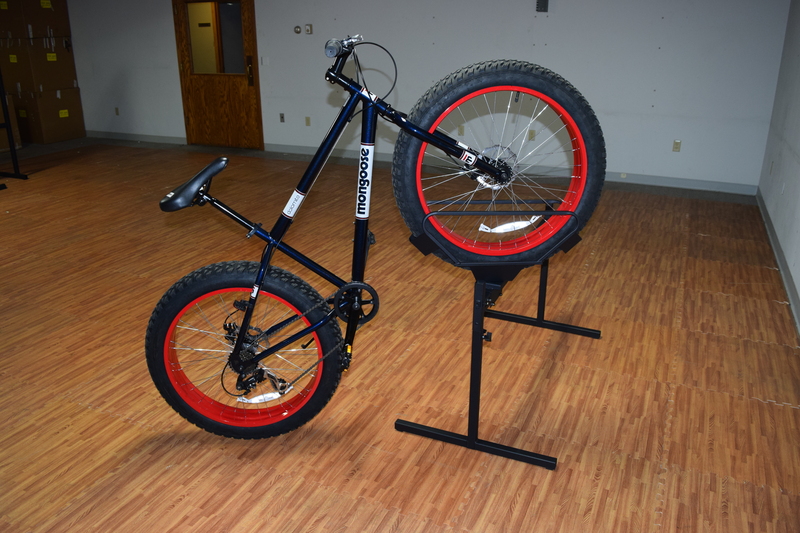 The Cradle works on our Version1.2 Stand Up and can be bought as a rack or individually. 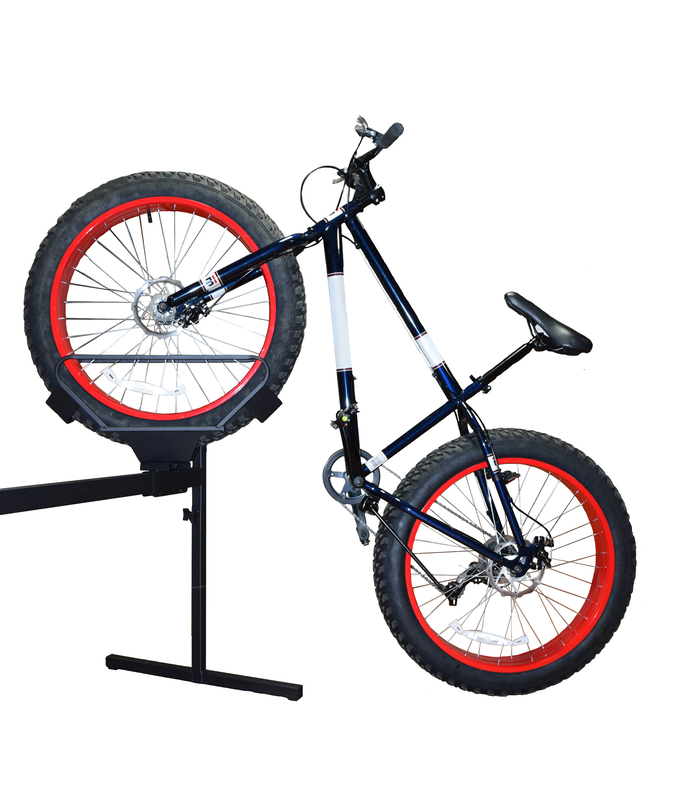 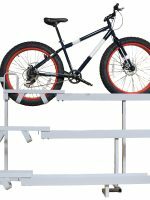 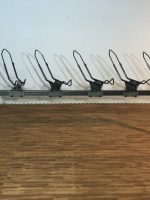 Just like our regular Stand Up Cradle, the angle is adjustable, as well as the space between each bike. 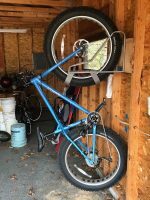 The width of the cradle is not.